$4,559.00 This may be in stock for quick delivery; please call! The Conn 8D offers the flexibility and projection a horn player needs to succeed at all levels. 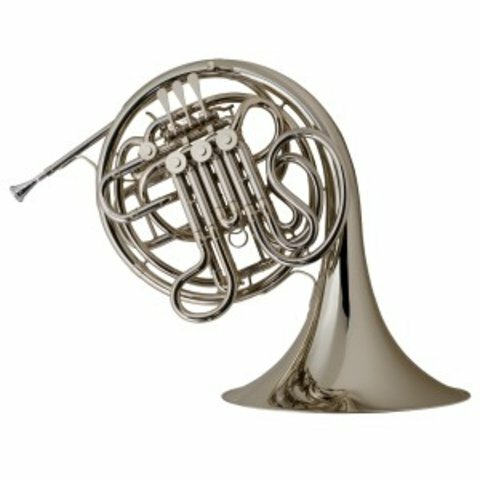 Its traditional large throat bell and lighter weight all nickel construction than most horns makes this a perfect match for any player. The Conn 8D offers the flexibility and projection a horn player needs to succeed at all levels. Its traditional large throat bell and lighter weight all nickel construction than most horns makes this a perfect match for any player. The Conn 8D has been one of the world's most popular horns for decades. 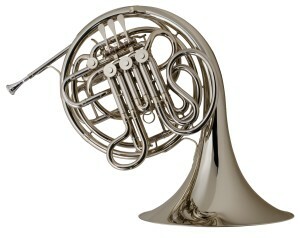 It maintains a design that makes the horn very responsive and free-blowing with excellent tonal balance. Its traditional large throat bell and all nickel construction give a beautiful, dark sound with rich depth. The clear lacquer finish provides a subtle warmth to the overall sound. Well suited for players of all ages and abilities. Conn "CONNstellation" - Key of F/Bb, .468" bore, Kruspe wrap, 12-1/4" large throat nickel silver bell, all nickel silver construction, tapered rotors and bearings, mechanical change valve, adjustable lever bridge, clear lacquer finish, Conn7BW mouthpiece, 7614C plastic shell case.